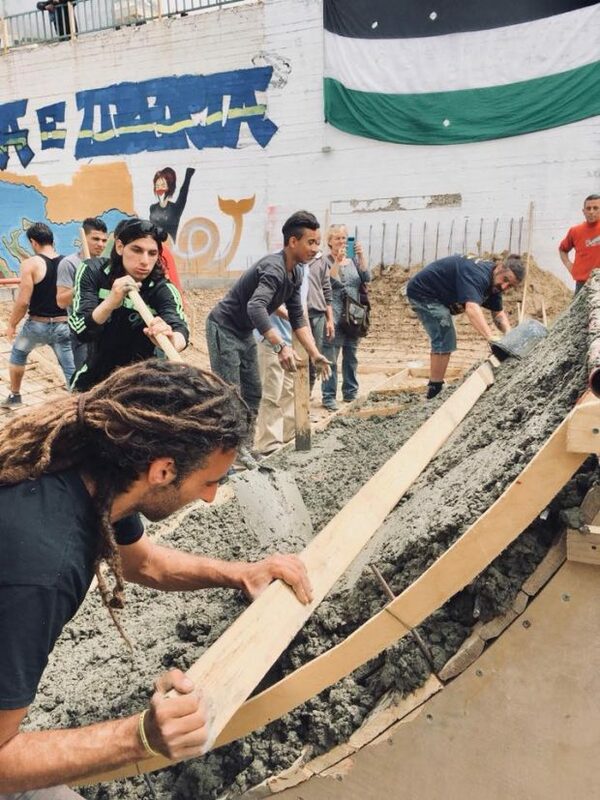 “On the 27th of december 2018 the Gaza Freestyle Festival crew will be back in Gaza to finish the skatepark we began eight months ago. In the following videos you’ll see the story of our last mission in March. Essentially Gaza strip is the last autonomous shred of Palestine: 365 square kilometers, 1.800.000 people, besieged by a 10m high and 20m deep concrete wall, provided with barbed wires and snipers… in March, while we were working there, tens of unarmed civilians died at this border during the “Return march” protests. 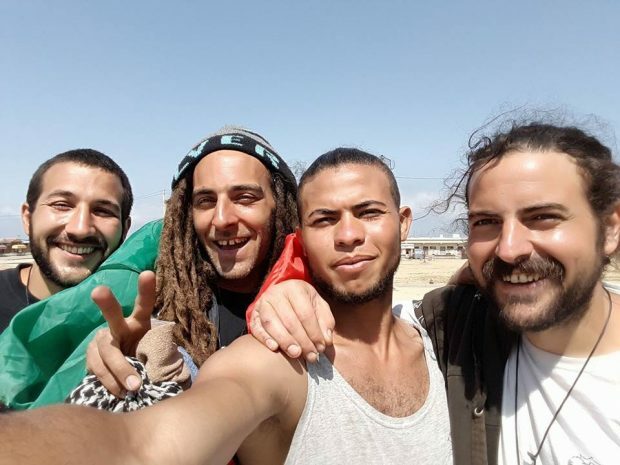 Gaza FREEstyle Festival – We’re coming back! Our objective has always been the same: share a fragment of our free culture with a land that suffer martyrdom and torture every day. 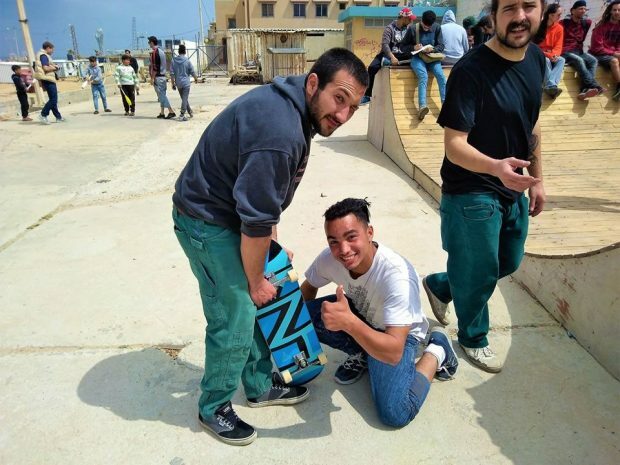 Skateboarding saves lives: in Gaza this handhold could be essential. 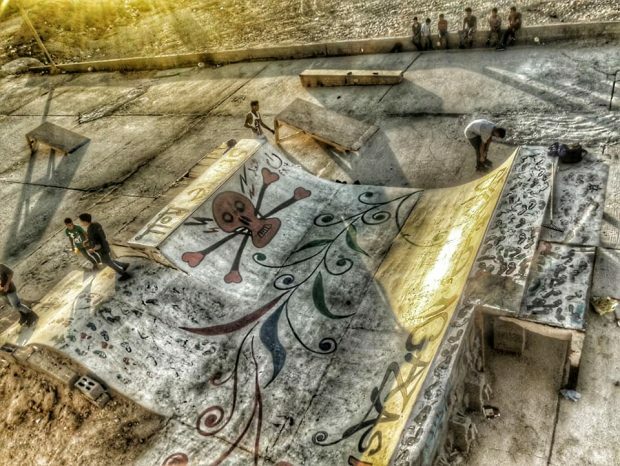 We want to transform the ruins of Gaza slaughter in a skatepark. That’s why for fifteen days, starting from the 26 of December, we’ll be back in Palestine to trowel concrete with our local friends. 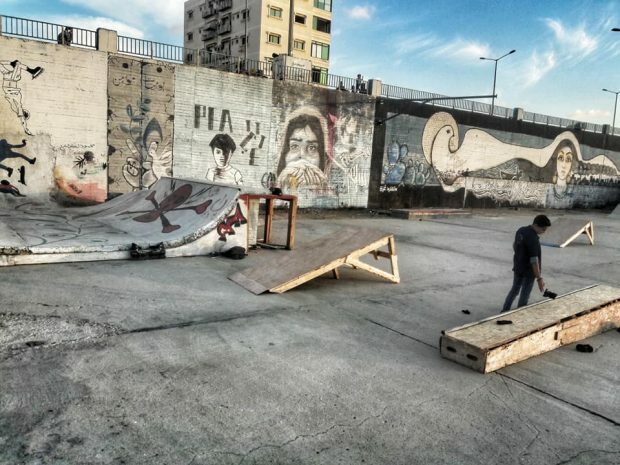 Our target is to finish the local park of the most bombed and tortured metropolitan areas in the world. To make it we need to buy concrete, gravel and steel: we already have wheelbarrows, shovel and trowels, the elbow grease will be ours.